Chad Little Outdoor Power wanted to increase their number of inbound phone calls using Google My Business. By working with ARI to optimize their page, they were able to exceed their goals. The dealership had 105% more calls from January to June 2017 compared to January to June 2016. 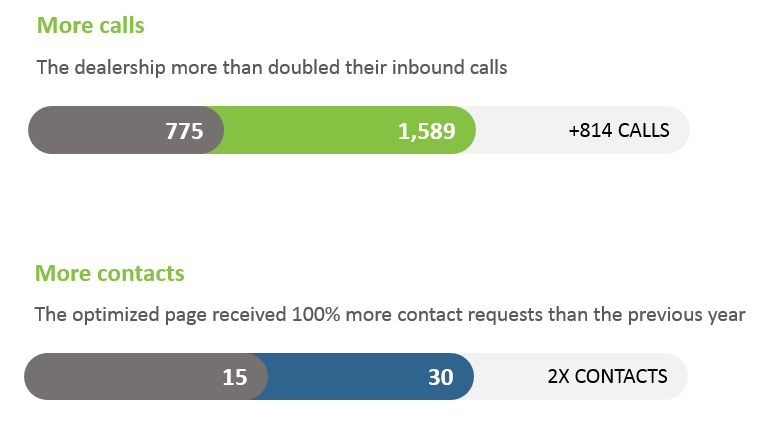 Chad Little Outdoor Power also doubled the amount of contact requests they were receiving.